ENTREE feels obliged to share with you opposite views, especially when they come from a highly respected voice. Sure, we do not expect everyone to agree with us all the time, but when several seasoned connoisseurs of cruising disagree with our evaluation, then we sit up and take notice. Such is the case with our recent review of an AMA Waterways cruise on the Danube written a few months ago. We have heard from a chorus of highly experienced cruisers saying we clearly missed the boat and praising Uniworld over Ama Waterways. Their passion for Uniworld and its owners, the Tollman family, has prompted us to take a closer look at the two companies and set the record straight. 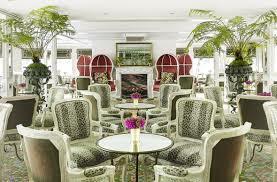 So that there is no confusion: Uniworld is by far the superior river cruise choice. 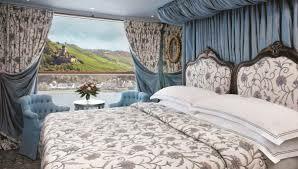 In fact, Uniworld stands head and shoulders above all other river cruising lines. We say this based on a number of factors. And they are all based on our personal experience. Uniworld has an undeniable pedigree no other cruise company can match, a pedigree honed by long experience catering to a discriminating clientele who expect nothing but supreme quality…nothing else will do and fortunately for Uniworld that suits their corporate ethic perfectly. First and foremost, there is the Tollman family influence. Their careful and pitch perfect imprint–a product of four generations of devotion to hospitality at the highest levels–is everywhere. From their substantial investment in the finest, sleekest,state-of-the-art ships which they exquisitely maintain like a fleet of Rolls Royces, to the smallest detail on board, this family cares deeply and each and every passenger knows it. Then there is the décor. 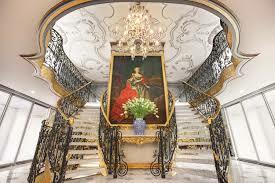 Uniworld goes to great lengths (and expense) to outfit their ships as if they were Park Avenue residential apartments and that means real antiques, lavish wall coverings, crystal chandeliers, rare paintings, masses of flowers, and luxurious residential fabrics. Soft beds that do not compromise size or comfort, premium thirsty towels, imported soaps are de rigueur. There is not a book, ashtray or lamp out of place. 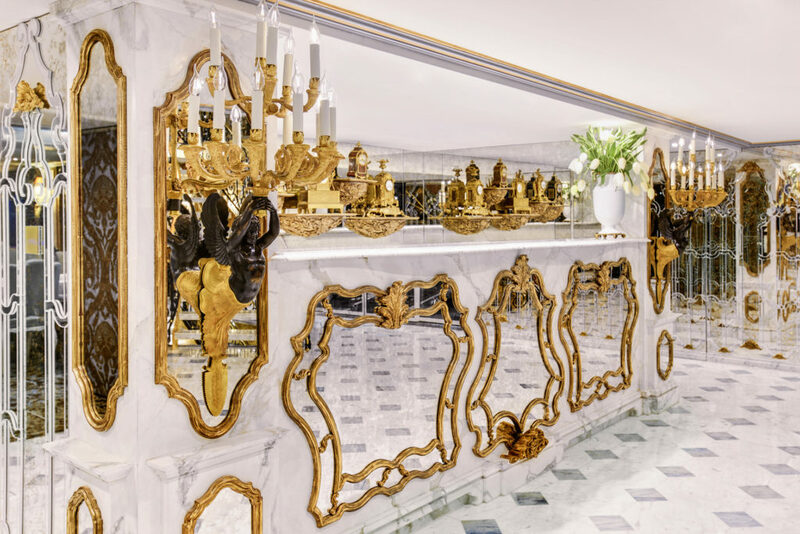 The marble floors on a Uniworld ship are always buffed to a mirror-like finish. The carved wood paneling oiled and polished to a high sheen. Housekeeping is five star. The majesty of a Uniworld ship takes your breath away. No other cruise company can touch them in this regard. If you can imagine one of their impeccably decorated five star hotels (like London’s Milestone Ireland’s Ashford Castle) floating on the water, then you’ve got some idea of the detail and comfort they are devoted to. Secondly, there is Uniworld’s legendary commitment to food and wines. Connoisseurs of food and wine report ecstatically about the exceptional regional specialties, delicate pastries and fine chocolates served immaculately on board. 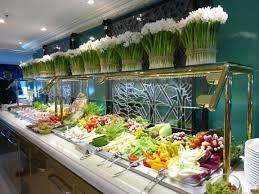 Uniworld does not job out their food and beverage to a third party as so many river cruise ships do. Being a strictly a family-owned company with decades of 5-star hotel experience has its advantages, one being a long and proud history of culinary mastery, All chefs are carefully trained by Beatrice Tollman, the family’s talented chatelaine. Mrs. Tollman has a worldwide reputation for culinary excellence (her memoir, A LIFE IN FOOD, is a best seller) and it shows in Uniworld’s menus which reflect her passion for international dishes, many of which often harmonize with the exotic destination her ships call at. Dining aboard a Uniworld ship calls for no sacrifices. The loving preparation and prime ingredients are every bit the high standard of the Red Carnation Hotels they operate around the world. With respect to wines, we know of no other river cruise line whose owners own their own vineyard. The Tollman family are the proud proprietors of Bouchard Finlayson, a boutique winery in Hermanus, South Africa dedicated to the making of Pinot Noir, Chardonnay and Sauvignon Blanc wines of outstanding quality. Hence, the wine stewards aboard a Uniworld ship are very well trained and can select from a cellar deep in New World wines as well as French, American and European bottles. No company can compete with their wine selection. Many cruise lines talk about their service being highly personal but we believe only Uniworld can back up this claim. The Tollman family has been running great five star hotels for over 50 years and has honed their flawless service to an art form. Ask anyone who has been to The Milestone or Chesterfield in London, the d’Angleterre in Geneva, Bushman’s Kloof in the Western Cape of South Africa, Summer Lodge in Dorset, The Twelve Apostles in Cape Town, the magnificent Ashford Castle in Ireland or any of the award-winning seventeen properties that make up the Red Carnation collection and they will assert the company’s motto of “No request too large, no detail too small” is not just an idle idea but the bedrock philosophy of the organization. And this is true on land or on water–we have never seen such proud people dedicated to their tasks, whether big or small, like those who serve on Uniworld ships or in Red Carnation Hotels. Uniworld ships feature an average capacity of 130 guests and the highest staff-to-guest ratio in the river cruise industry. 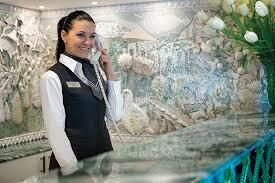 Their polished and obliging staff know their etiquette and are bursting with pride to serve on a Uniworld ship. They manage to be friendly and amazingly informative, each and every one. Lastly, there is the scope of Uniworld’s itineraries. From the rivers of Europe to exotic India, China, Vietnam, Cambodia & Egypt, Uniworld provides an intimate view of some of the world’s oldest civilizations, the most varied in the industry. And now Uniworld’s luxurious, all-inclusive river cruises in Europe offer a diverse menu of exclusive Go Active excursions in 2017—everything from golf to kayaking to expertly guided hikes and bike rides. These experiential, active and immersive experiences are offered by no other river cruise line, making them a “Uniquely Uniworld” way to explore your destination. Some of our favorite Go Active moments are Paris to Paris in 10 days with golfing at a renowned Normandy links course, a voyage of vine-covered slopes and castle-dotted shores, while exploring the delights of five nations and savoring the best these regions have to offer; and Eastern Europe, an ideal voyage for travelers seeking new, off-the-beaten path destinations. Follow a path forged by crusaders, kings and conquerors through Hungary, Serbia, Croatia, Romania and Bulgaria. Immerse yourself in new cultures and make new friends as you travel from splendid Budapest to dynamic Bucharest, discovering the best that the revitalized nations of Eastern Europe have to offer along the way. No river cruising line produces the wide range of entertainment and experts that accompany a Uniworld trip. You will be splendidly entertained at night with bewitching music and dance and have exclusive access to great art, time-honored historic landmarks, nature, vineyards, and people during the day on Unworld’s very special shore excursions. For the very best in luxurious river cruising, let us clear away any doubts: Uniworld simply has no equal. There are many in this field claiming superlatives and we’ve tested a few, trust us, not one can compare with Uniworld. 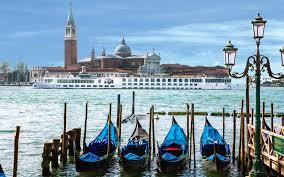 If you are considering a river cruise and want the very best, go no farther in your research than Uniworld. ENTREE hopes this puts to rest any doubt or confusion in our readers’ minds: if you are looking for the ultimate in river cruising, all-inclusive, effortless travel on ships that are works of art, Uniworld with its fleet of 21 river cruising cruise ships along the rivers of Europe, Russia, Egypt, and China is your only choice. Uniworld is outstanding and without peer, voted World’s Best River Cruise Line by Travel & Leisure in 2016. Visit http://www.uniworld.com.